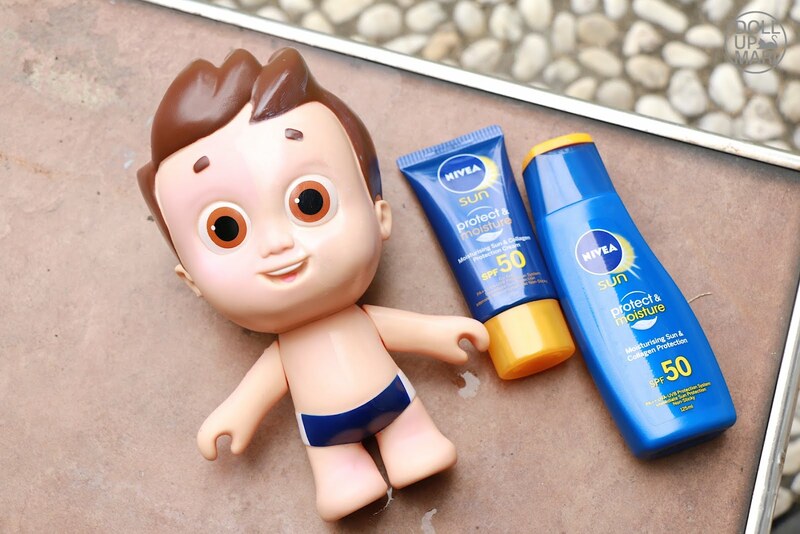 Teach The Importance of Sun Care with the Nivea Doll! Say hello to the cutest way to convince someone, especially a child, to love using sunscreen! 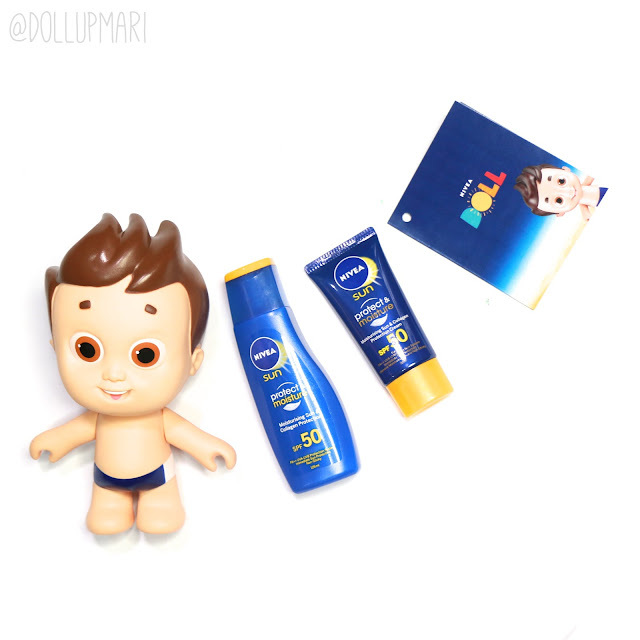 Say hello to the Nivea Doll! So this is not some random corporate freebie, this doll is made of a special material that reddens upon exposure to the sun. 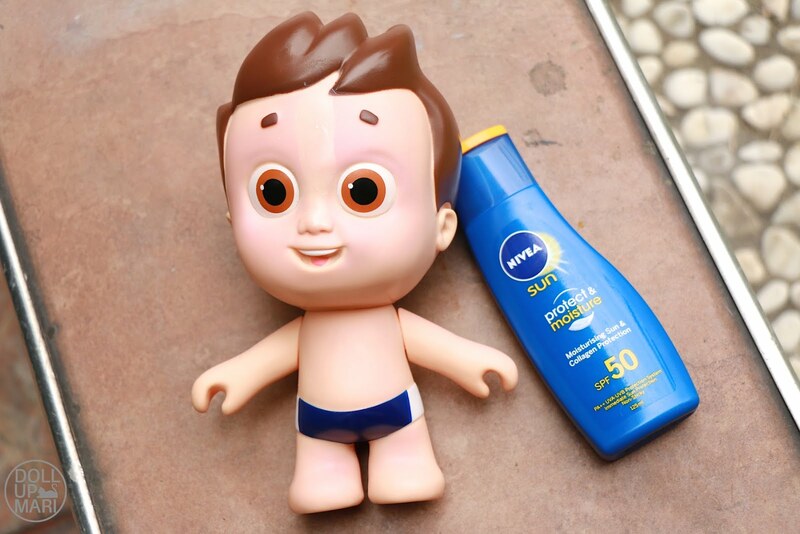 Like a real human, the only way to prevent reddening is to apply Nivea sunscreen on the doll before sun exposure. 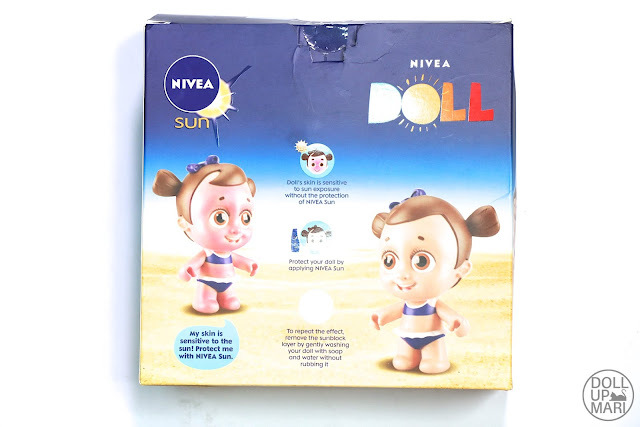 You kinda know that this is a doll because you can also get rid of the already reddened skin with sunscreen, but we all know that in real life, sunburns are much bigger of a public enemy and are less reversible. I saw these dolls in commerce for a few weeks now, until I suddenly received one that I decided to look into the dolls at the internet. As a management student I found the idea to be sheer brilliance, as it's a very visual yet consumer friendly way of educating the market to use the product in question. 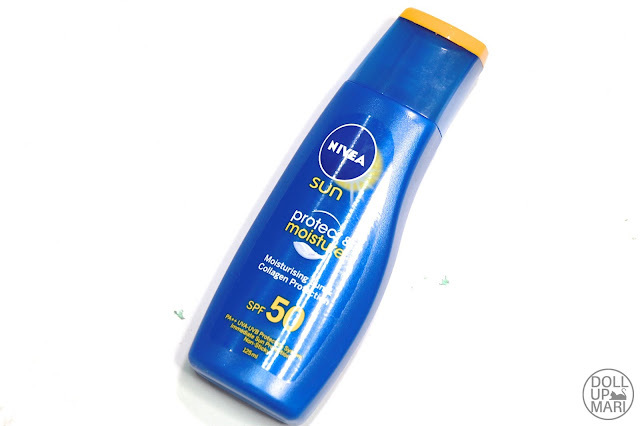 As adults, we are bombarded with all sorts of news articles about sun damage and technical explanations over SPF. 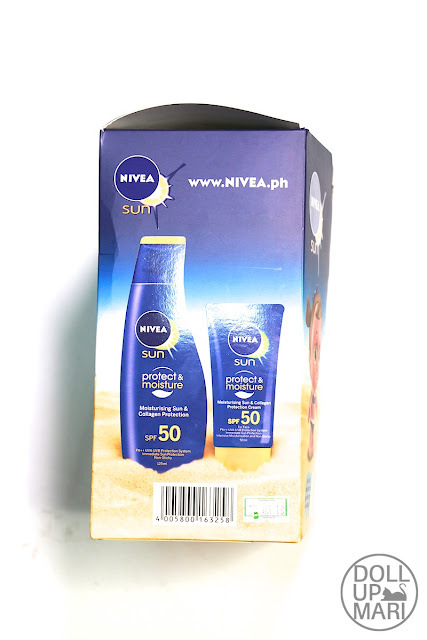 There are many 'exposé' articles wherein they show the effects of UV by showing how people look like under UV lamps with and without sunscreen. I honestly do not understand everything about SPF until now even after being a human being for quite a good time already, nor do I own a UV lamp to actually experiment for myself using all my suncare products. And I think most citizens are like that. 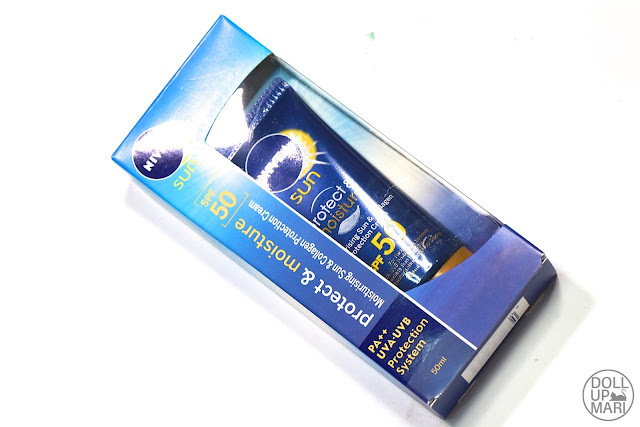 So to be able to create an object that is so simple to understand yet so concrete and clear in delivering the message of prioritizing sun care really just blows me away. So I googled 'Nivea Doll' and this is one of the key things I saw. Apparently, they created this as a visual aid for parents to be able to teach kids the importance of sun care. It all came from the insight and consumer pain that kids do get finicky with sun care experiences in general. Applying sunscreen will take away precious play time, and some kids just do not like the feeling of anything topical at all. So there may be misunderstandings, tantrums, or worst, meltdowns, that may occur. 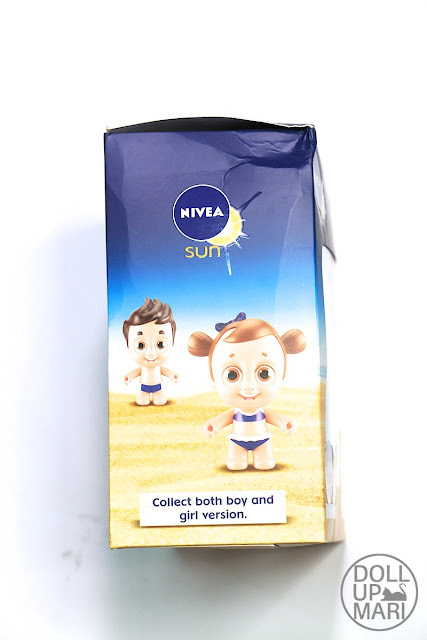 Kids of course have an innate instinct of care, so the kids in the video quickly applied Nivea sun lotion to the dolls to reverse the redness. And then it didn't matter anymore when their parents applied sunscreen on them as they were too busy protecting their dolls from sun damage. This consumer activation actually won Nivea Brazil's agencies many awards, and it's no wonder given that this is pure genius. So this is the packaging of the doll. I have already seen this in high end supermarkets and online, so this will not be very difficult to find. The whole box set is Php800 in groceries, though you may catch it on sale or with a small discount depending on the retailer. The doll is already free. There is a cute illustration on the back as to how the doll works, but the demo is with the girl doll. And by the way, this doll comes in boy and girl versions! So cute! 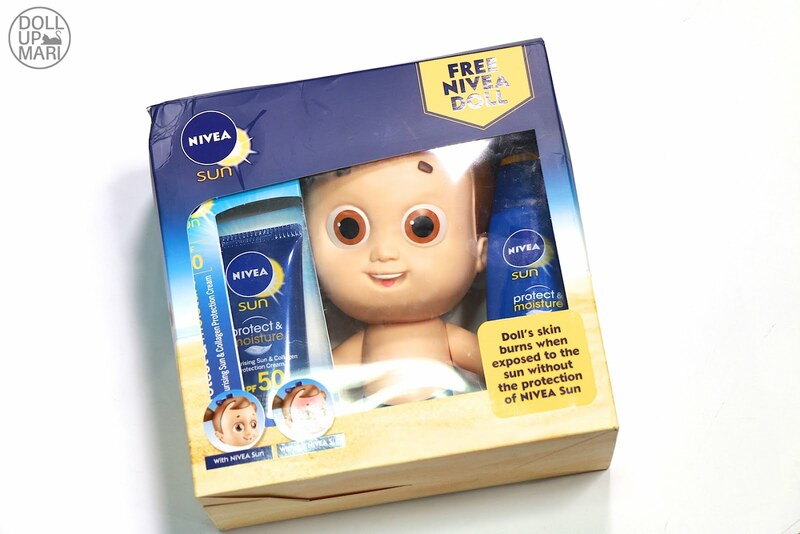 So yeah, I got too fixated over the doll to talk about the actual Nivea products inside the box. So it comes with a Nivea Sun Protect and Moisture SPF 50 Lotion (125mL) and a tube of Nivea Protect and Moisture SPF50 Face Fluid (50mL). These two products already cost Php806, as the lotion is at Php482 and the face fluid is at Php324. So this is the face fluid basically. They used to be in small bottles that had shakers in them, but they're now in tubes. And then this is the bottle of body sunblock. It may seem small in real life, but because of how emollient the product is, a little goes a long way. And of course, the star of the box, the doll himself! I have yet to give my doll a name... I have heard other bloggers naming their dolls already, so I have yet to think of a name for my doll. And just to show you everything in action and not just blab about how cute the doll is, I took him outside to our garden (because that's where you can get most of the sun exposure). The effects are immediate. I thought I'd need to wait for like ten minutes or so, but the moment I laid the doll down on this bench, he became red before my eyes! And no, that's not your imagination. He's really pink with a non-pink area right smack at the middle of his forehead because I applied Nivea lotion there! He doesn't become as pink as what is on the box under "normal" sun conditions (i.e. not 12nn, vicinities with lots of shade in general), which is why you have to look closer to see him go pink. Or to really feel the difference, you have to apply sunscreen on a patch and see it go back to neutral, so that you can contrast the pink parts. But, I did see people test theirs in the beach and they really go super red, so that will be interesting to try on my next trip to the beach! You should really try putting the lotion on awkward patches because that's when you see it. And just like magic, the doll starts to go back to normal whenever you apply sunscreen on a new surface area on the doll. 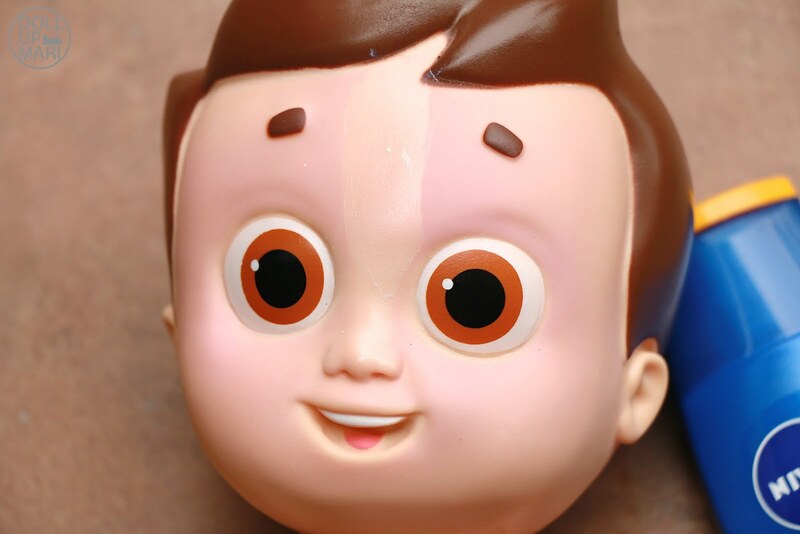 You can then wash the doll to remove sunscreen to reset it. 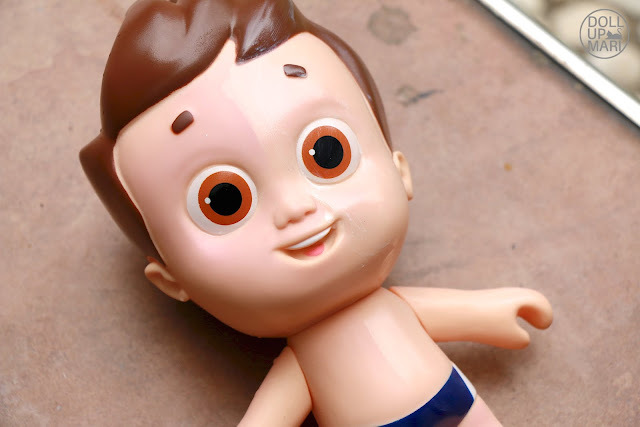 The doll stops being red when he's out of the sun for quite some time, but I recommend that he still be washed so that his paint job doesn't get damaged. And once again, here he is with half his body with sunscreen. This time, I applied the sunscreen at the start of sun exposure, so the part with sunscreen didn't become pink anymore. I'm super happy to have received this doll and he'll be in my display shelf once I finish refurbishing my work room (which I hope happens this year oh my goodness). Till then, the sunscreen will be for me, not him. Mehehe.